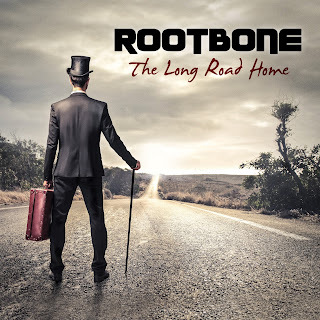 If you're looking for something to kickstart your mojo, look no further than The Long Road Home (from Steel Tone Records), the rockin' debut album from Waterdown's Rootbone. With Juno and Maple Blues Award winners in the band, you're guaranteed an amazing experience. Featuring the songwriting team of ex-Fathead band member Darran Poole (guitar, lead vocals) and Bobbi Richards (lyrics, percussion), the group also includes Omar Tunnoch (Fathead) on bass and backup vocals), and Jim Casson (ex-Downchild, Mighty Duck Blues Band) on drums. This wonderful recording will get ya revved up with it's high-energy blues rock with hints of roots, country and Cajun! This is world-class music from world-class performers. There are also a few high-profile guests such as Gary Kendall of Downchild (bass), Wayne "Shakey" Dagenais (keys), Mark "Bird" Stafford (Harmonica), Gene Hardy (sax), and William Sperandei (trumpet). So go ahead and pick up a copy at any of their shows or visit their online shop. You can also download it through iTunes. ENJOY!